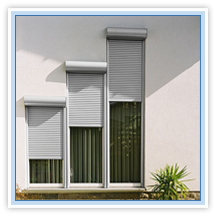 The Rolset company provides you with aluminium outer roller-blinds. The outer roller-blinds system provided by the Rolset company is suitable for new and existing buildings. The idea of a roller blind in an outer case is simple and brilliant. The roller-blind case is assembled in front of the window, not above it. Thanks to that there is no loss of warmth. 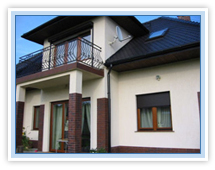 It is an optimal solution in terms of insulation. Also the protection against noise is much higher than in case of other cases. The roller-blinds provided by the Rolset company harmonize with the general looks of a building. 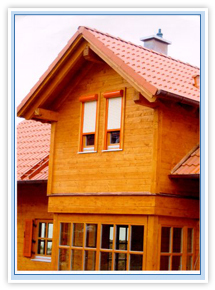 Thanks to the diversity of colours you may arrange your home in accordance with your preferences. We provide the roller-blinds in many colours including more than 180 shades of RAL palette. All Rolset roller-blinds are made in accordance with individual dimensions and are provided with an integrated anti-insect net at the request.. Thanks to our thick aluminium in connection with foam you get an optimal protection against burglary. All our profiles make it difficult to break in and provide safety. The increase in crime in cities and towns, vandalism, pointless passion of destruction, brutal violence against people and their possession. The signs of time, which you can protect against with the Rolset roller-blinds. During a typical assembly of roller-blinds in new buildings, header cases requiring special thermal and acoustic insulation are often used. The Rolset under-plaster roller-blinds allow to assembly the roller-blind case just over a window frame. In this case, the plaster case is with a façade and does not constitute a thermal bridge. Due to the thermal and acoustic insulation, the system ideally connects advantages of an element for new buildings with the possibility of non-invasive assembly of the case in the building façade. Under-plaster roller-blind is energy efficient. The system integration should be taken into account during planning. Permanent inspection cover of a case tilted by 20% allow for any maintenance works from outside without need to disturb wall and wallpapers. At the same time there is no need to do any repairs in plaster or façade. Optimal integration of the under-plaster roller-blinds system provides energy efficiency and the best acoustic insulation. The Rolset aluminium roller-blinds have been designed specially for rising requirements connected with increased ant burglar protection. Next to very stable profiles, there is a wide range of accessories within which there are protections against rising the roller-blind, protecting clipping element, and reinforced finishing slats. 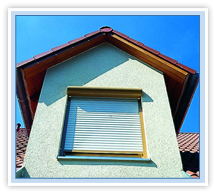 The roller-blinds operation is manual or with a comfort electrical control. optionally integrated ant-insect net keep flying insects and other small tormentors away. Your pets stay indoors even when a window or terrace door are open. 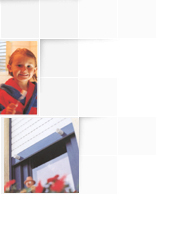 The Rolset company offers you professional assembly of over-plaster roller-blinds. Professional assembly as well as its technique adjusted to material are as well important as a solid construction and roller blinds finishing. Performing the commission by the Rolset company guarantees you safety and proper quality of assembly. It does not matter if the roller-blinds are assembled in new or existing buildings. Diversity of assembly variants meets all planning conditions.